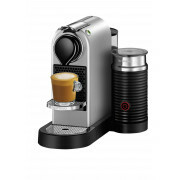 Nespresso adds a touch of elegance to coffee rituals around the globe with the silver Citiz coffee machine which has an updated retro-modern design and integrated milk frother. 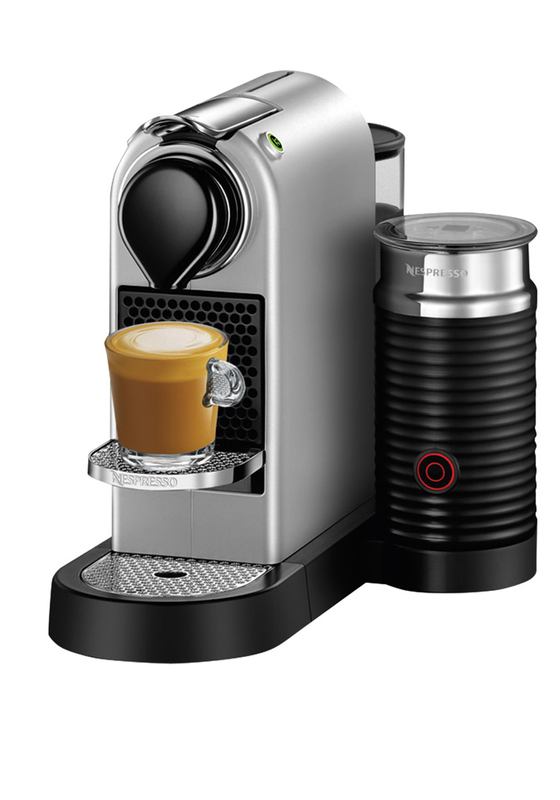 Featuring two programmable buttons with automatic flow stop for espresso and lungo coffee preparations and a removable drip tray for taller glass recipes. An Aeroccino prepares perfect milk froth and hot milk automatically and the 19 bar high performance pump offers barista style coffee every time, reaching the ideal temperature in just 25 seconds.